Have your home training area ready in minutes. Flexi-Roll® is so easy to set up and put away even the kids can do it. Practice at home on the same mats you train and compete on. Ask for your Flexi-Roll® mats with carpet surface. 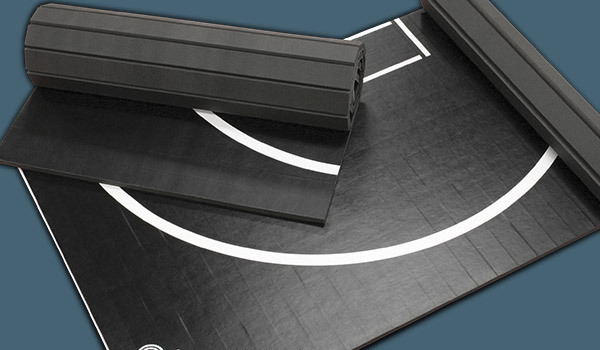 Don't miss out on all of the markings just because you're practicing at home, order your smooth surface home training mats complete with wrestling markers and rings. Dollamur Flexi-Roll Home Mats were designed for easy and compact storage as well as quick and effortless assembly and provide a surface identical in properties to competition mats. One person can safely set up or break down a complete Dollamur FlexiRoll system in just minutes. There's no flipping required. Mats just roll out and are instantly ready for use. 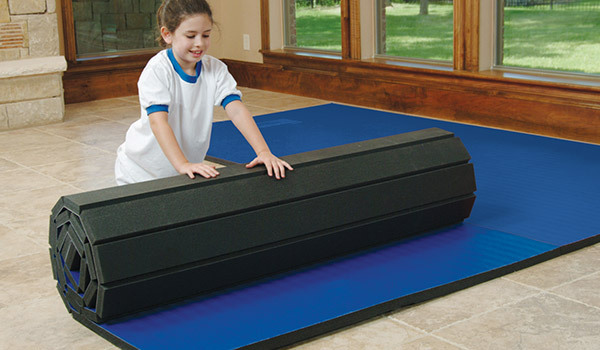 Flexi-Roll® home training mats are availabe in two styles. Choose from smooth surface for martial arts, wrestling or dance and carpet surface for cheerleading and gymnastics. Ask our representative about custom sizes and markings. Price: $699.99CAD - DISCOUNTS FOR 20+ pcs.